This book is a little out of my genre of YA simply because of the subject matter. While interesting, the writing was sometimes a little too mature for my taste. I understand that this book was told from the perspective of teenagers, but the narrative didn't always catch my attention and I found myself skimming some of the pages. The story is about four Mexican teenagers who are fleeing the scene of a gruesome massacre in which all of their immediate family members die. The kids have no idea what to do with themselves so they run. They find themselves at he home of Sr. Ortiz who helps them get ready to cross the border. While Pato, Arbo, and Gladys don't seem to know much about crossing, Marcos does. Marcos is a tough character to read. It's obvious he wants to be the tough guy but you can also tell that he's scared. He wants to be in charge, only he makes terrible decisions and nearly gets them all killed multiple times. In addition to struggling through the desert and trying to stay alive, Pato and Arbo find out something about their father's that makes their grief even worse. It's a heartbreaking story. 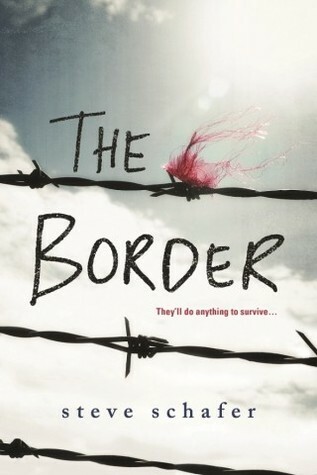 While I enjoyed reading about the crossing of the border and was glad to have some insight of what happens to people trying to find a better life, it felt like a lot of the story was repetitive. The same mistakes were being made and the same things kept happening. I would have loved to have seen a little into the future of the characters and their life after. Still a good informational read. Thanks to NetGalley and Sourcefire for the ARC.